Listen, as we dispense wisdom of the highest order! 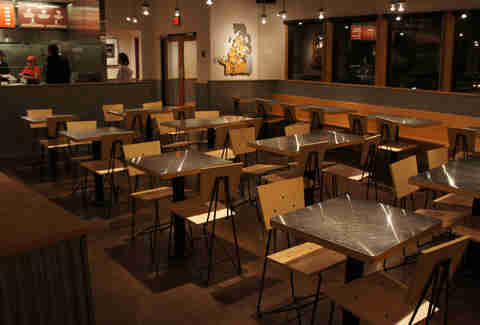 Hear, so that your Chipotle experience may never be subpar again! 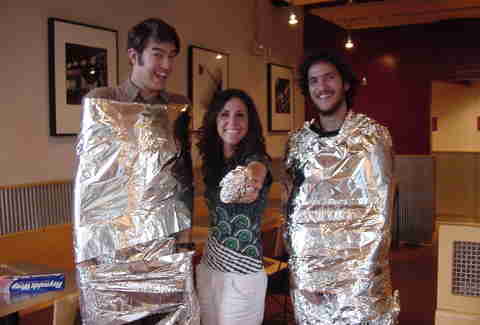 Hark, for these are The Rules of Dining at Chipotle! 1. Thou shalt make up thy damn mind. You had seven good minutes to figure out what you wanted while you waited, pal. Pick one of the four menu items and go with it. Seize the moment, don't squander it. And don't make me call you pal again. 2. Thou shalt not place an order for thyself... and six other burritos for friends who stayed at home. Your lazy friends can use their app, and you can save yourself from the hatred of everyone behind you in line. 3. 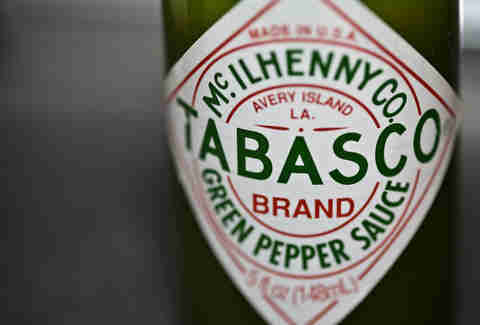 Thou shalt use as many of their Tabasco products as possible. If they didn't want me to use an entire bottle of Green Jalapeño on my burrito, they shouldn't have put all those bottles on display. 4. Thou shalt take upwards of 50 napkins back to thy table, and only use but two of them. Good thing they use recycled paper for them, or else you'd feel bad. 5. Thou shalt never order the vegetarian option when chicken is the same price. 6. Thou shalt order the sofritas (spiced tofu) option once, and only once. Mainly because you'll appreciate how great their meat is the next time you visit, but it doesn't taste too bad, either. 7. 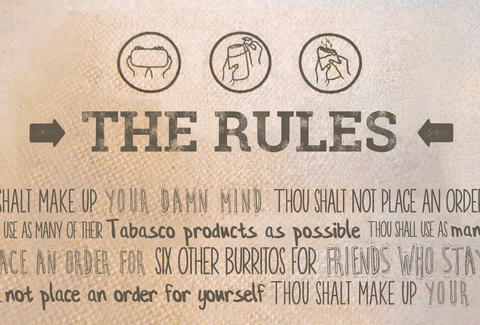 Thou shalt order the guacamole on every burrito and salad, regardless of the extra charge. They should charge you more if you don't get it, because then maybe you'd stop being such a dumb-dumb and enjoy the best thing on the menu. 8. 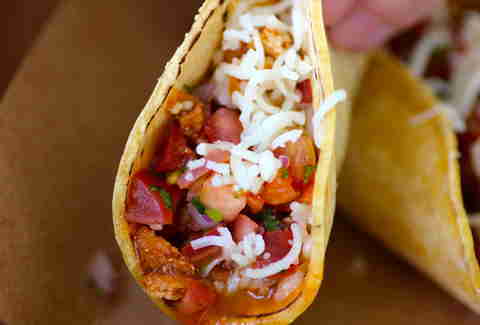 Thou shalt not say NO to the rice and beans in a burrito, taco, or bowl. Oh, I'm sorry, I didn't know you were training for an Ironman and can't eat carbs. If you just wanted grilled meat, why didn't you go to a kebab place? 9. Thou shalt sit in an uncomfortable wooden chair. Because you don't have any other options. 10. Thou shalt not take home leftovers. You're right, there is enough for two meals! But this is America. Eat until you feel unwell. 11. Thou shalt enjoy instrumental music. Whether you like it or not, the music you eat burritos to are your favorite songs stripped of vocals, like you're in some sort of karaoke joint. And you might be! 12. 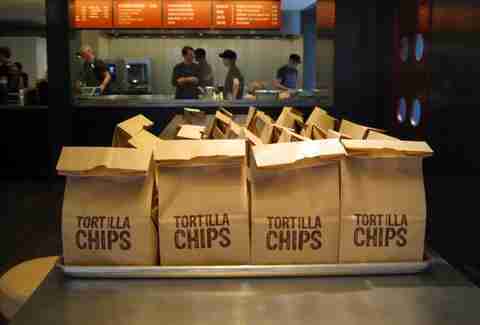 Thou shalt order chips and guac for the table. It's usually around $3, and everyone at your table will remember you as a hero. And heroes never die. Unless they're in Game of Thrones. 13. Thou shalt not tip the hardworking employees. You want to, but they only accept cash. You'll get them next time... is something you think every time, as you swipe your Diner's Club credit card. 14. Thou shalt not order a Quesarito during the lunch rush. Sure, a secret menu item (like the one that wraps a quesadilla around a burrito) sounds delicious, but it takes forever to make. Save the complicated orders for when the shop's slow, and don't piss off everyone behind you in line AND the employees. 15. Thou shalt dress up on Halloween. Their yearly promotion on All Hallows' Eve scores you a burrito, bowl, salad, or tacos for just $3 from 4pm until they close. It's better than free candy. Plus, you now have an excuse to dress up in that "cereal killer" costume you definitely just came up with yourself. 16. Thou shalt select all the fixin's. Pico, hot salsa, corn salsa, sour cream, cheese, guac, and lettuce. Every. Single. Time. Lee Breslouer writes about food and drink for Thrillist, and thinks people who order burrito bowls are joyless. Follow him at @LeeBreslouer, because you can't make up a name that good.